Summer is quickly fading away, and as the shadows get longer earlier, and the grill is in the dark faster, it is time to start thinking of ways to make fresh, hearty food. I also can’t think of a better way to serve Gardein’s new Fishless Filets. Sweet hot chili sauce (3 Tbsp). 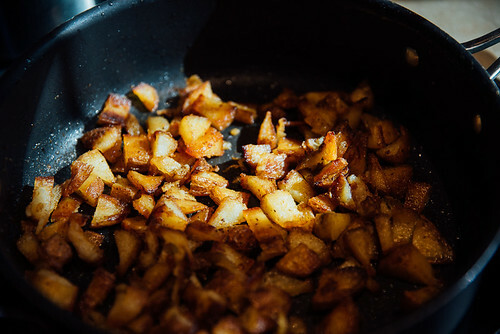 Dice and fry the potatoes, when almost done stir in some sweet hot chili sauce and fry a little longer. Ensure even mix. We cheated and used some frozen french fries we had in the freezer. 2. Using a cookie sheet, cook the fishless filets per the instructions. 3. 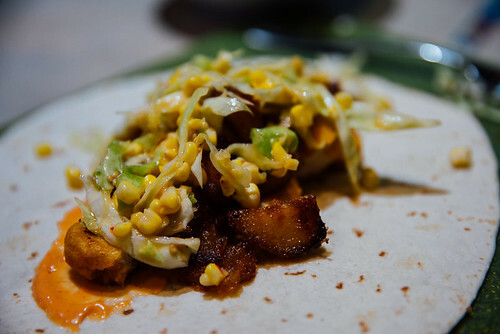 Make the taco sauce by mixing the vegan mayo, Sriracha, and sweet hot chili sauce to taste. 4. 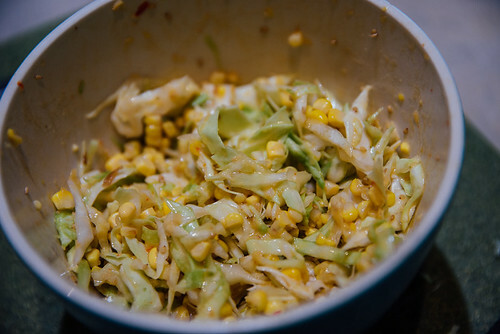 Slice the cabbage in long pieces, and stir in the corn, sesame seeds, sesame oil, and miso dressing to taste. Do not over saturate! 5. 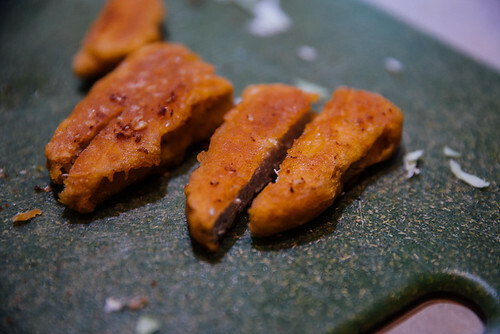 Remove fishless filets and cut lengthwise, in half. 6. Spread some taco sauce on a fresh tortilla and place fishless filet segments on the tortilla. Add some potatoes and top with slaw. 7. Wrap like a taco and enjoy! Previous PostRubicon 2016Next PostUnboxing Video: KC HiLites 7″ Gravity PRO LED headlights! Should You Buy an Extended Warranty for your Jeep?